Whether your wisdom teeth are impacted, or you’ve recently had your braces removed and don’t want to crowd your smile, wisdom teeth extraction can solve your problem. At Weishaar & Weber Dentistry, Dr. Anthony Weber, Dr. Sue Weishaar, and Dr. Lori Weber are dentists with over 35 years of combined experience. They have performed a vast number of extractions. If you live in or near Spokane Valley, Washington, and are looking for a dental professional, who can evaluate your wisdom teeth, contact the office today. Call to schedule your appointment or book online. When do you need your wisdom teeth extracted? If your wisdom teeth are impacted, which means they’re not growing in straight or that there’s not enough room for the tooth to erupt through your gums, you may need them extracted. In some cases, your dentist may recommend wisdom teeth extraction to prevent further complications, even if your teeth aren’t impacted. That's especially true if you’ve previously had orthodontics. Your wisdom teeth are the last teeth to develop and typically appear between the ages 17 and 25. How do you know if your wisdom teeth are impacted? When you have your wisdom teeth extracted at Weishaar & Weber Dentistry, your dentist can perform the extraction under local anesthesia or under sedation, where you’re put into a sleepy state and don’t remember the procedure. Your dentist then makes an incision on your gums and removes any tissue or bone necessary to expose your impacted wisdom teeth. They extract the tooth from your jaw bone and, if needed, stitch your gums closed. Most often, these stitches are dissolvable and disappear within 3-5 days. You may experience oozing at the surgical site, which subsides about 24 hours post-surgery. After your initial recovery period, the majority of your discomfort and swelling subside. It may take 3-4 weeks for your gums to completely heal. 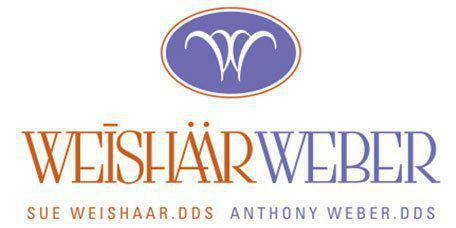 If you think your wisdom teeth are impacted or you’re looking for a dentist who performs wisdom teeth extractions, call Weishaar & Weber Dentistry today to schedule your appointment. You can even book online.